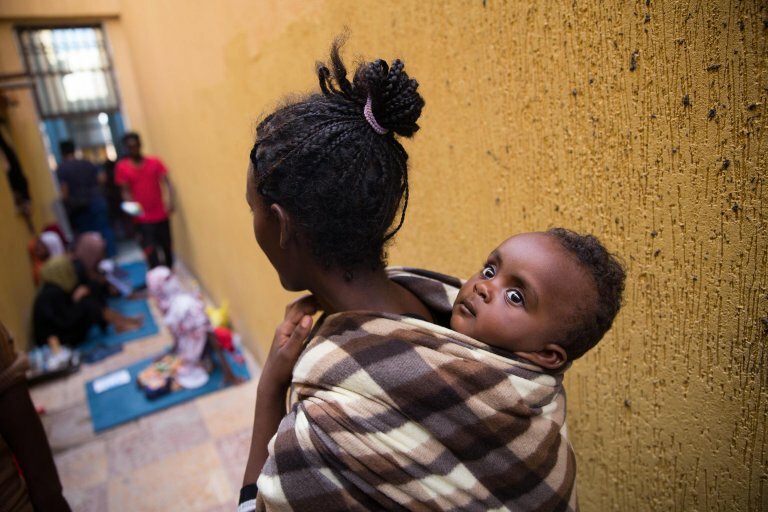 ROME - Doctors Without Borders (MSF) has denounced that its teams in Libya have reported a "sharp increase int he number of people held in detention centers in Mirata and Khoms." The increase was registered after many landings of ''vulnerable refugees, migrants, and asylum seekers'' who were ''intercepted or rescued at sea and brought back to Libya in violation of international law," the organization said in a statement. The NGO added that the number of people in the detention centers in the area has grown ''from 650 at the beginning of the year to 930 today." MSF reported that people taken back to Libya over the past few days are now stranded in overcrowded detention centers. "The facilities have been overwhelmed with the new arrivals and are struggling to cope, leading to a further deterioration of already dire detention conditions," according to the NGO. MSF further said that people ''have virtually no access to open air space and little access to clean water and food," and that "Food is insufficient and totally inadequate to meet the nutritional needs of people with serious medical conditions, children and pregnant women." Doctors Without Borders said it has treated patients for malnutrition, hypothermia and severe diarrhoea. ''Some report that before trying to cross the Mediterranean Sea, they had been held captive by traffickers for weeks, sometimes months, and were deprived of food and systematically abused and tortured," according to the NGO. The organization denounced that detention centers in Tripoli are also reporting an increase in the number of people held there. "Nearly all detention centers are poorly insulated against the winter weather, resulting in increased illnesses associated with prolonged cold weather exposure," it said. In one detention center in the capital, MSF medical teams reported "signs of unhealthy weight loss among detainees due to an insufficient food supply." According to representatives of the World Health Organization (WHO) in Libya, 14 people died and 58 were wounded in recent fighting in Tripoli. Civilians have been caught at times in the war zone, including a reported 228 refugees, migrants and asylum seekers who were arbitrarily held at the Qasr Bin Ghashir detention center, previously located on the frontlines. The WHO stressed that Libya cannot be considered a safe place to return for refugees and migrants. ''The levels of violence they are exposed to while in the country are well documented," it stated. Claudia Lodesani, president of the Italian chapter of Doctors Without Borders, said "the European Union and its member states, including Italy," are "beyond cynical," and that they are "continuing to implement policies based on the interception and forced return of vulnerable people to detention in Libya."